The EDID program is funded by the Lilian Foundattion and implemented in Cameroon by the CBC Health Services. 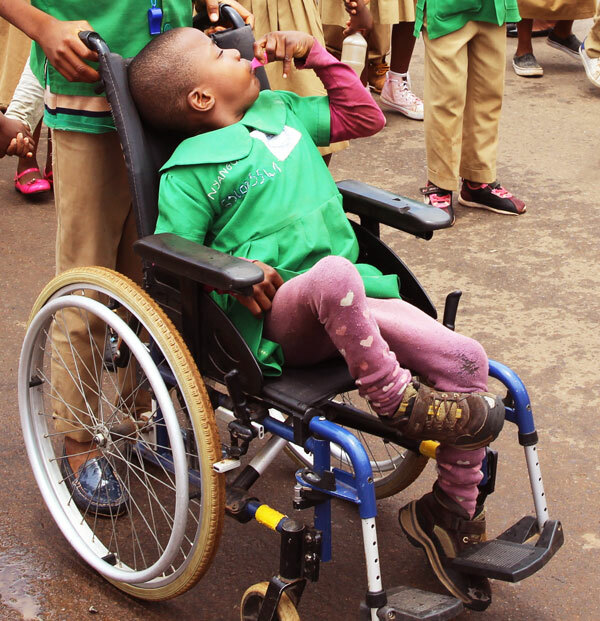 The goal of the EDID program is to ensure that children and youngsters with disabilities in Cameroon participate as equals in the lives of their families and communities. The program works with over 20 partner organizations in 8 Regions of Cameroon to enable children and youths with disabilities from 0-25 years have access to education, health, socials and livelihood opportunities and also makes sure that an enabling environment is provided for them in the families, communities and nations at large. EDID partner organizations actively work in communities to identify children with disabilities and support them to have access to healthcare, education, social and livelihood opportunities. A total of 476 children have been supported under the Education component, 48 in Inclusive Primary Schools, 288 in Special Primary Schools, 53 in integrated, 12 in Inclusive Secondary Schools, 56 in Integrated Secondary Schools, 4 in Public Universities, 9 in Private Institutions. Regarding Enabling Environment under this component, PROMHANDICAM supported and followed-up 148 children with disabilities in mainstream schools to enable them learn inclusively. These include the visually, physical, intellectual and autistic children in 20 mainstream primary school, 7 secondary schools and 5 higher institutions of learning. Support have also been provided to the National Examination Board for transcriptions of exams to braille and vice versa for 137 visually impaired. They have also supported the construction of a ramp in a government school which has benefited over 1500 children including 50 children with disabilities. An inclusive school in Douala has been able to convince 3 schools to receive children with disabilities through workshops and sensitization meetings with school authorities and another have been able to advocate for the inclusion of 35 CWDs and 150 peers in mainstream schools. A total of 848 children have benefited from the program under the health component. 517 for medication/surgeries, 233 for physiotherapy and the rest for other assistive devices. Partners were encouraged to partner with service providers to strengthen parents on the better management of their children health’s needs. So there is a general increase in parent’s collaboration to care for their children’s medical needs. Remarkable improvements have been noticed in the healthcare provided to children with disabilities whose parents are now able to use devices like parallel bars, prosthesis, etc. Partners also have been engage in identifying epileptic cases in the field and subsidized the acquisition of treatment. These have significantly reduced the rate of seizures thus limiting the acquisition of disabilities. Other partners have also been creating good collaboration with health service providers which enabled uninterrupted healthcare provision to children with disabilities. Under this component, a total of 213 families have benefited from counseling support while 145 CWDs have participated in sporting and leisure activities. A total of 463 parents have been participants in supports groups. All partner organizations have been supported to create support groups of parents of children with disabilities. Some partners have more than 1 support groups. The creation of support groups has added a lot of quality to the advocacy component of the child empowerment program. 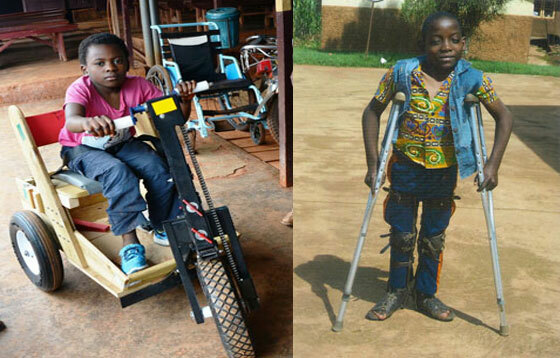 A parent support group in Yaounde has been successful in advocating for the employment of some parents of children with disabilities. This has increase the income level of the parents who are now able to better take care of their children. More so, a support group in Tobin has established close links with the Kumbo council and this has enabled 10 of their children to be shortlisted to benefit part payment of school fees and the provision of school material at the start of the academic year in September 2017. Support groups in the Bangang area have received training on CBR and this has been enabling them to act as CBR field agents in the communities. Progress is being made to legalize these support groups. Partner organizations and their field workers trained in CBR during the first quarter are already implementing lessons learned. Psychosocial counseling is provided to families, advocacy on the inclusion of children by community stakeholders and follow-ups.